Sales of battery-boosted bikes are soaring. Here’s why everyone loves e-bikes… and you probably will, too. The first thing you need to know about e-bikes is that they’re here to stay. Some people view their rise in popularity as a threat, as though their standard bikes will go the way of the penny-farthing once everyone goes electric. But fear not, these battery-powered bicycles aren’t here to rob us of our human-powered way of life; they’re here to enhance it. Here’s how… and everything else you need to know about the electric two-wheeled revolution. 1. E-bikes make pedalling easier. Some e-bikes come with a handlebar-mounted throttle that engages the motor with the press of a button, whether or not you are pedalling. These are a separate class of e-bike that are obviously not a pure cycling experience; they’re also not allowed in some municipalities. Interestingly, people who aren’t necessarily “cyclists” tend to gravitate toward throttle-assisted bikes initially, but then turn around and choose a pedal-assist for their next purchase, Benjamin says. 2. They go pretty fast… to a point. The harder you pedal, the bigger the boost you’ll get, the faster you’ll ride – to a point. E-bikes let you hum along at a brisk clip, but they are not motorcycles. You will not be jack-hammering down the road at 70km/h. The motor is governed to stop propelling you further when you hit 32-45 km/h (depending on the bike). So you’ll save time on your commute into the office, but still enjoy the scenery. You also can control how much pedal assist you get. Most e-bikes come equipped with a handlebar-mounted +/- power switch, which allows you to adjust the power-boost from low – when you’re happy to put more power in the pedals – to high or “turbo,” when you want to get where you’re going (say, up a steep hill) as quickly as possible. 3. You’ll ride a lot more… even if you already ride a lot. Getting an e-bike can dramatically increase how often you ride, according to a recent survey of nearly 1,800 e-bike owners in North America. Before owning an e-bike, 55 percent of the respondents said they rode daily or weekly. After getting an e-bike, that number soared to 91 percent riding daily or weekly. It makes total sense: Even if you’re super fit, there are times when you’re tired (likely from training, racing, or riding) and getting back on your bike feels like a chore, especially if it’s to run to the store or schlep a bunch of stuff in a backpack. If you have an e-bike, suddenly you can get the same joy of riding while giving your knackered legs a bit of a break. You also can go faster, which makes taking a bike for longer trips more attractive, even when you’re time crunched. For people who are not frequent riders, it opens up a whole new world. Whereas they might not be cycling conditioned enough to ride eight to 15 kilometres, they can accomplish those distances easily with an e-bike, which is a great way to build endurance and confidence. That same e-bike survey found that 94 percent of non-cyclists rode daily or weekly after getting an e-bike. 4. There are e-bikes for everything. Name a type of riding and there’s an e-bike for that. So, though you may have zero interest in an e-bike for the road, you may find yourself head over heels for a high-capacity cargo bike that can haul 180 kilograms of stuff (including you) while still cruising at a cool 24 km/h. E-bikes are available in fat bike, cargo bike, commuter, recreational, hardtail and full-suspension mountain bike, and even performance road bike styles. 5. They’re so much better than cars for daily errands. Here’s one every bike-lover can get behind: “People are buying electric bicycles as a way to reduce car trips,” Benjamin says. Survey data backs him up in a big way. Twenty-eight percent of the survey respondents said they bought an e-bike specifically to replace car trips. And many of the other reasons e-bike buyers listed for wanting an e-bike, including carrying cargo and kids, avoiding parking and traffic, and environmental concerns, also indicate a desire to get out from behind the wheel and behind bars instead. Plus, you don’t need to change clothes or clean up when you arrive at your destination, because you don’t have to work up a sweat if you don’t want to when you ride an e-bike. Consider, too, that more than half of all driving trips are shorter than 16 kilometres, with some surveys reporting that the average single-trip distance is just 10 kilometres. That’s a no-brainer trip to take by e-bike. In fact, the e-bike survey found that owners replaced 46 percent of their car commutes and 30 percent of their driving errands with e-bike rides. All you need is a great commuter bag to carry your stuff, and you’re set. 6. Yes, you still get exercise, and e-bike pedalling is good for your health. E-bikes do some (or, if you crank them up, a lot) of the work for you, but they still count as exercise, especially for people who have been otherwise sedentary. An American University research team found that when 20 non-exercising men and women e-biked about 40 minutes three days a week, they improved their cardiovascular fitness and blood sugar in just one month. “Many people are not fit enough to ride long enough to get meaningful health and fitness benefits from biking,” Benjamin says. “Put them on an electric bike and they can go out and ride for an hour and get a significant amount of exercise.” In short, it puts them on a faster track for getting fit. Even if you’re in excellent shape and very fit, you still can get exercise by e-biking. When I did a head-to-head comparison of commuting to and from the office with my cross bike and a recreational e-bike, my relative effort was much lower, and I burned about half as many calories on the e-bike for the eight-kilometre round trip. But I still burned something which is better than nothing (enough to add up to 200 calories per hour, the equivalent of what you burn by walking). And I definitely opted for the e-bike for quick trips to town where I would usually drive, which means I was considerably more active overall. 7. The batteries are already getting better. No getting around it: One of the downsides of an e-bike is that it is yet another thing to charge (looking at you, too, Di2 shifting…). Right now, you can expect to get between 56 to 160 kilometres out of your battery before it needs a recharge. Where you fall in that range depends on the size of the battery and how much power the motor is drawing. Obviously if you buzz around on “turbo” all day, you’ll run out of juice more quickly than if you run it on lower, more economical settings. But we expect batteries will continue to get better. 8. But trail access can be tricky. E-bikes remain a subject of considerable controversy in mountain biking circles. The short answer right now is that you may not be able to ride one on your favorite singletrack, as they are prohibited on most non-motorised trails. However, opinion among many of the powers that be has been tilting in a more permissive direction. 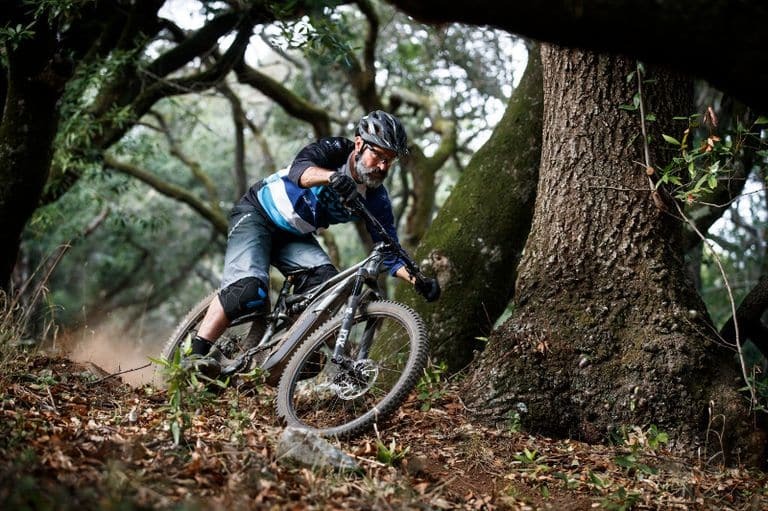 Most recently, IMBA, the sport’s largest public advocacy group, shifted their opinion to support allowing access for some pedal-assist e-bikes (specifically those with a speed governor that cuts the motor at 32 km/h) on some trails. With every major bike manufacturer making e-mountain bikes, more access is likely only a matter of time. 9. They’re not cheap…but they can save you money. You can’t really get a cheap e-bike. But, if like most e-bike owners, you keep the car in the garage more often, so you’re saving cash on wear and tear and gas money. Not to mention the added health benefits and potentially fewer sick days from getting more exercise. Prices vary widely, but you should expect to pay at least R19,000 for a decent e-bike, but considerably more (R32,000 to R70,000) for a quality bike with a motor system from a major manufacturer like Bosch, Shimano, or Yamaha, a lithium-based battery system, and quality components and hardware. 10. They’re heftier than your average set of wheels. The first thing many cyclists do when checking out a new bike is grab it by the handlebars and saddle and give it a lift to gauge the weight. You’re in for a little scale shock if you try that move with an e-bike. The battery, motor, extra components, and reinforced frame make e-bikes inherently heavier than a standard bike – to the tune of about nine kilograms. Modern geometry and engineering help them handle well despite their weight, and obviously the motor-assist makes the extra kilos disappear when you start to pedal. But you’ll need more muscle to get them on your car rack or up and down stairs at your home, workplace, or apartment. 11. They’re the future of transportation. You already know every major bike manufacturer – and literally dozens of smaller ones – are in the e-bike game. Well, car manufacturers aren’t far behind. Ford is already bankrolling e-bike bike shares, and plenty of other automotive companies are eyeing up the e-bike market. “The car business is jumping in with both feet,” Benjamin says, “because they realise that cars in high-density urban areas, where more than half the human race lives, just aren’t working anymore.” With big transportation players in the e-bike game, and cities searching for ways to relieve car traffic congestion, bike infrastructure should continue to improve. 12. Soon, you’ll be able to race them. It’s not as far fetched as it sounds. In Europe, where the e-bike market has exploded, and the battery-assisted bikes are already commonplace, the European Cycling Union (UEC) a federation of pro cycling governing bodies for the continent, has announced that it is creating a new racing circuit for e-bikes, including e-road and e-mountain bikes for the 2019 season. 13. It’s impossible to ride one without smiling. That’s the truth. Our testers – all of whom are avid traditional bike riders and/or racers – enjoyed tossing a leg over a pedal assist bike so much that they took to calling them “wheee!” bikes. We’re willing to bet you’ll agree.